Every 2 years there is a call for EOI to join the subcommittee. This message goes out to all APEG members via the monthly e-bulletin, shortly after the Annual General Meeting. This committee is comprised of Paediatric Endocrinologists, Specialist Nurses, and Researchers in human growth. It succeeds and builds upon the knowledge and experience of the Australasian Growth Hormone Committee and database (OZGROW) and the Growth Hormone Advisory Committee (GHAC). – advise APEG Council on matters relating to child and adolescent growth. – promote research into child and adolescent growth. – provide education on child and adolescent growth. APEG members and others are encouraged to make use of the OZGROW database for their research. Initial approaches may be made to Dr Hughes to assess the feasibility of a proposed project. Subsequently, a summary of the project and a description of its proposed utilization of OZGROW may be submitted to the Committee via the Chair, Dr Choong. OZGROW has a standard form for such applications and the Committee has drawn up a set of guidelines, which are available to applicants, in assessing these. 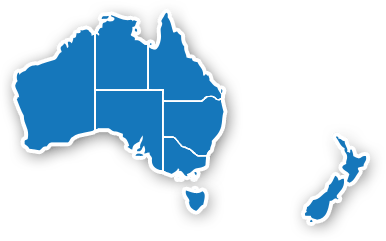 An important function of OZGROW is to monitor the short and long term safety of hGH treatment in Australia and New Zealand. OZGROW relies on clinicians observing an adverse event to report that event to OZGROW. There is also a requirement to report adverse events to the Therapeutic Goods Administration (TGA). OZGROW suggests the best way to achieve both these objectives is to fill in the TGA “Report of suspected adverse reaction to medicines or vaccines form” online: https://www.tga.gov.au/form/blue-card-adverse-reaction-reporting-form and email it to both the TGA (adr.reports@tga.gov.au ) and OZGROW ( i.hughes@uq.edu.au ). © 2019 APEG. All Rights Reserved.